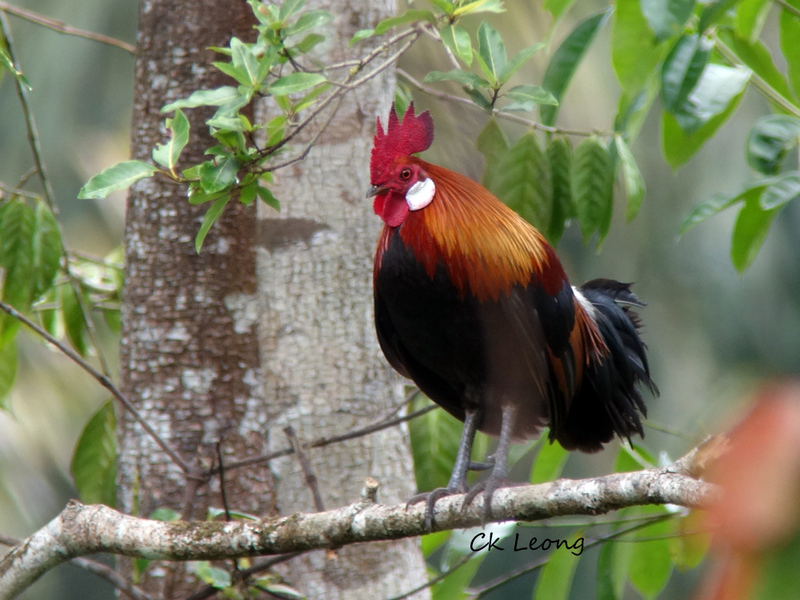 This Red Junglefowl, the ancestor of the domesticated chicken, has been busy since introduced as a pest control in the late 90’s in the oil palm plantations around the Lahad Datu area of Sabah. Since then I have seen it, alone or in flocks, in both commercial palm cultivation and in forest, in various places along the east coast of Sabah. We don’t know the genetic purity of the original birds introduced here but they were most likely derived from West Malaysian sources. Still it is always nice to see one of these birds in the wilds of Sabah.